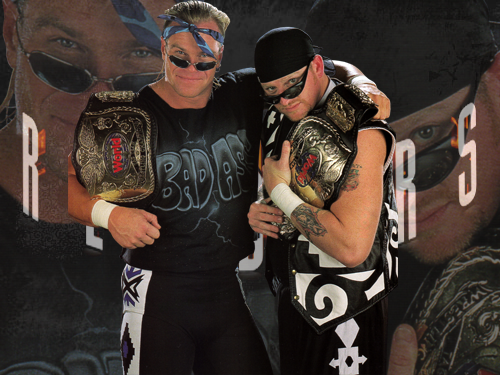 On this day in 1999, Road Dogg & Billy Gunn, better known as the New Age Outlaws, defeated Makind & Al Snow for the WWF World Tag Team Title in Pennsylvania and began their 5th World Tag Team Title reign. They would later become WWE Tag Team Champions for a 6th time after 14 years when they defeated Cody Rhodes & Goldust for the Tag Team Title at Royal Rumble 2014 pre-show. Also on this day, Scott Hall defeated Bret Hart, Sid Vicious & Goldberg for the vacant WCW U.S. Heavyweight Title in a Ladder match, starting his second reign with the title.